The force is strong for a major breakthrough with Kobra and the Lotus. 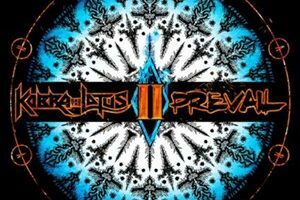 Honing their songwriting skills over the course of four previous albums, Prevail II is the second half of the Prevail series, recorded a couple of years back in Denmark with renowned producer Jacob Hansen (Volbeat, Amaranthe, many others). This set of songs provides another powerful template for musicians to mold, shape, and analyze their material for the benefit of legacy, as the quartet stretch their melodic hard rock/metal chops to levels that arena/festival size crowd clamor for. The commercial aspects come out in major, uplifting chord progressions that allow Kobra to soar to the heavens or glide into a mid-range comfort zone – check out “Let Me Love You” as an early half highlight, the rhythm and tempo slamming home in modern hard rock comfort as the down-tuned gallop penetrates the soul. An instrumental like “Ribe” showcases dynamic acoustic textures against a nature scene, the birds chirping in the background, while those that enjoy exotic chord shifts and pummeling double bass action that screams heavy metal need only hear “Fallen Empire” and you’ll be reminded of their love of Judas Priest and their offspring. Bluesy notations and straightforward snare/kick interplay makes “Velvet Roses” more of a late 80’s throwback cut, as if you were taking in possibly Guns ‘n’ Roses thrown into the metal veneer, Kobra channeling her inner Ann Wilson throughout in the upper echelon of her range. Guitar harmonies, emphasis on melody, uplifting lyrics, it’s all in there and more – making songs like “Modern Day Hero” (90’s Metallica would be proud) and their brilliant closing cover of “The Chain” from Fleetwood Mac mandatory for multiple, deep listens. 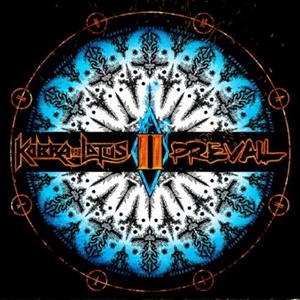 Prevail II feeds off of I – proving Kobra and the Lotus have many layers and shapes to their songwriting and output, and should reap those benefits to a wider audience.